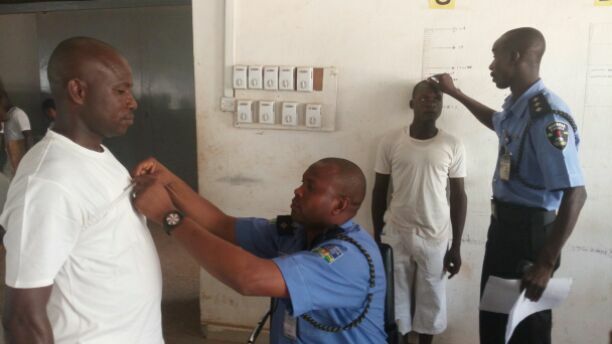 As recruitment exercise into The Nigerian Police Force nationwide enter day four, Commissioner of Police in charge of Prison, Abuja, CP Olusola Amore has said that Kaduna Police College will spend at least 15 working days to screen 15,000 candidates. The Police Commissioner, who stated this yesterday when Daily Sun visited the venue of the exercise in Kaduna, said Kaduna has the third largest number of candidates in the entire country hence the stretch of time. According to CP Amore, the centre had already done with screening of over 700 for cadet assistant superintendent of Police while 3,000 for cadet inspector and over 10,000 recruit constable are to be screened within the time frame. He said, “we thank God for the success recorded so far. We don’t have stamped because no crowd. Right from the gate of Kaduna Police College, your letter of invitation is what will allow you into the premises and that has helped us in great measure to control the crowd. “Even if you said you see your name because three of you bare the same name, the one among the three must have received the invitation letter and that is the person to be screened. For instance, if there is Jibril Mohammad and about three persons bare that name, one of them must have received the letter which qualifies such fellow as the one shortlisted for the training. “Over 700 for Cadet ASP, we have done with that. 3000 for cadet inspector and over 10,000 for recruit constable. Kaduna State has the third largest number in the entire country. At least we have 15 working days because of the large number we have in Kaduna State which means about 1,000 will be screened per day. “The prospective Policemen and women have so far in the centre composed themselves very well as we don’t have any itches apart from those that said they got their later late and we have even created a desk for them where their documentation is been taken. “You can see the orderliness with your eyes. We have painstakingly organize it in such a way that everyone involved will discharge his or responsibility credibly. “The Police Commission is the one driving the recruitment and they have sent email to qualified candidates for this phase of the exercise. You must have email address through which you applied and that is the same means you will be contacted. Nice that Police Service Commission told apucants right from inception to have active email for communication purposes,” he stressed.